Pavers are a great way to beautify the exterior of your home. The wide range of styles, designs, textures and colors available make brick pavers one of the most versatile ways to add value to any property. The key to keeping nay outdoor surface looking great is maintenance. Landscape pavers are very popular among creative, quality minded homeowners. The wide range of colors, textures and sizes can be mixed and matched to create your own unique yet functional design. Whether your pavers are big, small old or new, a key factor with any decorative paver configuration is regular maintenance: the beauty of your pavers will only last a short time before they need to be cleaned and sealed to bring them back to their original condition. As experienced paver restoration contractors, we are experts in restoring old pavers as well as cleaning and protecting newer ones. The paver sealers we use help to prevent your pavers from fading in the sun, and absorbing stains. 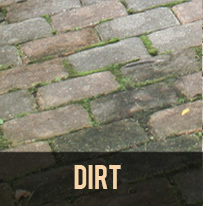 Our sealer will also darken and enhance the color of your pavers to give them a matte “Wet Look” finish. Our proprietary paver cleaning process will remove stains, mold, moss and weeds, restoring your pavers to brand-new condition. We use the same proprietary methods to clean and seal your concrete surfaces as we do for pavers. Whether you require paver repairs, cleaning, sealing, releveling or joint re-sanding, Paver Protector can help. Call today, and find out why we are the Chicago area’s leading brick paver restoration and professionals. 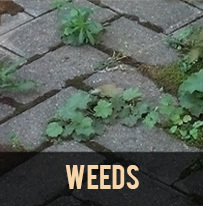 Eliminate weed growth by cleaning and installing new polymeric sand. Call today to find out more. 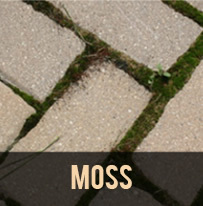 Eliminate moss growth and buildup through a complete removal and replacement of polymeric sand between pavers. Call today to find out more. 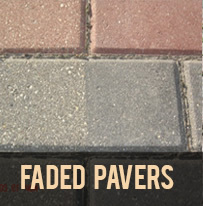 Faded pavers look new again using our color enhancing sealers that darken pavers and provide future fade protection. Call today to find out more. 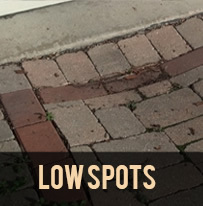 Low spots, high spots and shifting pavers can be caused my many different things. Our paver repair techniques guarantee an even, long-lasting result that you will love. Plastic edges will settle and rise due to freeze/thaw, soil erosion and more. 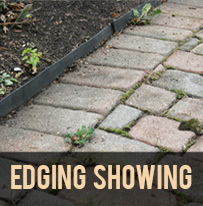 We replace your plastic edging with a longer lasting solution. Power-washing, resurfacing and sealing will not only make your pavers look new again, it will help to repel dirt and build up for years to come. “THANKS for a job well done. Josh did a fantastic job and was very helpful and great to deal with according to my wife. I couldn’t be happier with the way the patio turned out. Will be calling you again for the next round of maintenance.